Gear guides have their place if you’re a seasoned pro, but if you’re just starting a new outdoor activity, they can be forbidding and unhelpful. Enter Starter Kit, a new series that guides you through the essentials you’ll need to take on the Northwest's most popular sporty hobbies — no more, no less. Whether you’re a longtime Seattleite or just pulled into South Lake Union from elsewhere, you live in Seattle, which means you live in the land of permacloud and precipitation. Surprise! It rains here. Especially in winter. But unless you plan to set up shop on your couch for the season, you need a game plan for getting outside without getting soaked. 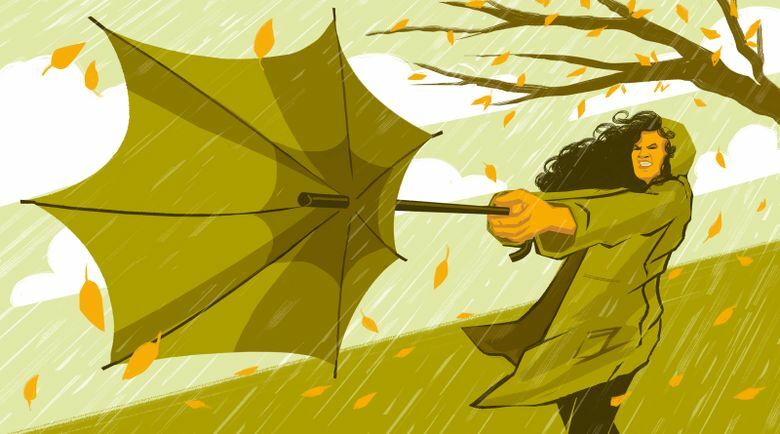 If you’re wondering how to keep yourself dry, the blues at bay, and your curls in shape for the months of rain headed our way, you’re in luck. Here’s our primer on rain-gear basics to get you through the worst of it.